Amazon has just announced a new line of Kindle e-readers and tablets. 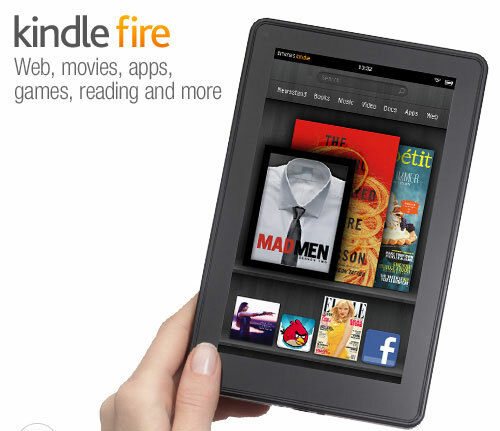 There will be the new Kindle, a Kindle Touch, Kindle Touch with 3G, and the Kindle Fire. The 3rd generation Kindles from last summer are still included in the lineup and are the only ones with physical keyboards. The Kindle and Kindle Touch will be available at their regular prices, and at discounted prices if you agree to the special offer screensavers. The new Kindle is 30% lighter than the 3rd generation Kindle, and with an 18%-smaller body. Like the 3rd generation device, the Kindle has a 6-inch screen. The Kindle will be priced at $79 with special offers, or $109 without. This version is Wi-Fi only. Slightly larger than the new Kindle, the Kindle Touch is still 8% lighter and 11% smaller than the 3rd generation version. It will be available as both Wi-Fi and 3G models. The Wi-Fi model will be available with special offers for $99 and without for $139. The 3G model will be priced at $149 and $189 with and without special offers. The new Kindle Fire is a 7-inch color multi-touch Wi-Fi enabled tablet that can be used to watch videos and browse the web in addition to reading Kindle e-books. It’s got a dual-core processor, ultra-fast cloud-accelerated Amazon Silk web browser, free cloud storage, and 8-hour battery life, 7.5-hours if you’re watching video. All this for $199. The Kindle is available now, the Kindle Touch will be out November 21st, and the Kindle Fire will be released on November 15th.